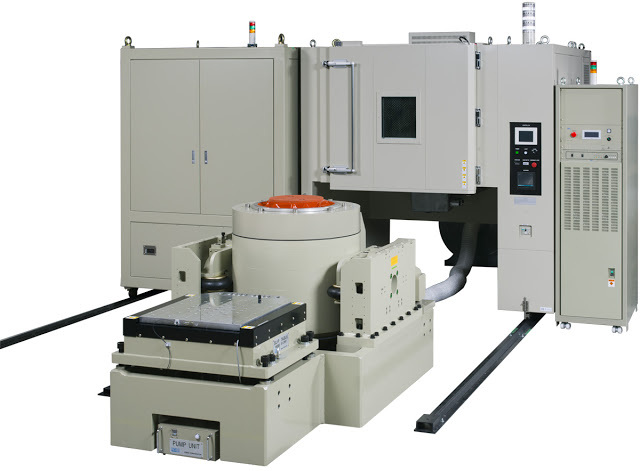 In January 2016, we will be installing, Japanese testing equipment, EMIC’s vibration testing system at one of our customer’s R&D facility in Marysville, Ohio. This vibration testing system is equipped with environmental testing chamber which creates extreme high temperature up to +150˚C (+300˚F) and extreme low temperature down to -40˚C (-36˚C) while controlling the humidity of the inside of the chamber (30%~98% controllable humidity range). This vibration testing equipment will be used to create (simulate) the actual vehicle’s driving condition. Any components of the vehicle will face constant vibration from the movement of the vehicle, and this testing equipment will create the shaking condition, allowing researchers to test the durability and reliability of the automobile parts under the extreme condition before vehicle actually goes into production and hits the market.